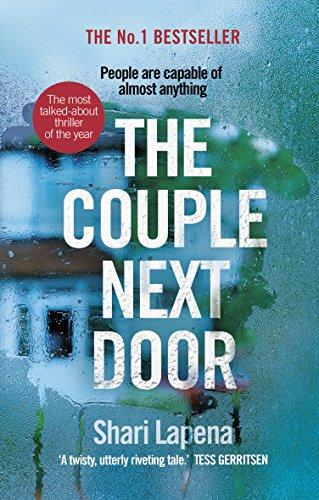 The Couple Next Door by Shari Lapena is a debut domestic noir. True to its genre, the story starts with a sense of unease, where the protagonist, Anne, is at a dinner party hosted by her next-door neighbours. Her neighbour, Cynthia, is openly flirting with Marco (Anne’s husband) and Anne just wants to go home to be with her baby. But things turn more sinister when Anne and Marco return home to find their baby missing. The story centres around the search for the baby, where nobody is beyond suspicion. It is full of deceit and betrayal, where everybody has something to hide. Small secrets and lies all add up; with twists and turns at every corner. The story will make parents everywhere question their own judgement. The peace of mind of having a baby alarm; just how safe is it? I liked how each apparently inconsequential scene had a knock-on effect and built towards the bigger picture. The ending spoilt it a bit for me; but other readers might like this additional twist. My 16-year-old son, who is dyslexic, has never enjoyed reading, but this book has made him think differently. The third person omniscient narrative uses colloquial language and is structured around fairly short chapters. Alongside an intriguing plot, this added up to a great read that was very different to some of the classics he has had to endure at school; making him realise there are some great books out there and reading is not as boring as he thought! This is a great debut and I give it 4.5 out of 5 stars.